Executive chef Vincent Canzeri is still surprising us!!! 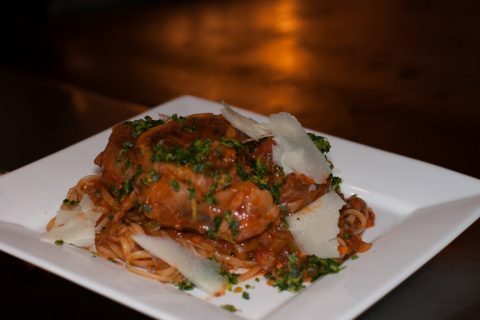 For the month of November, there’s nothing better to prepare us for the coming season then a comforting Osso bucco. Savour a delicious grain fed veal shank slow cooked over a low fire for over 8 hours to assure maximum tenderness. The homemade gremolata will add that touch of freshness. A true delicacy served over a bed of linguini in extra virgin olive oil and garnished with Romano pecorino. This creation is also available in gluten free, served over penne in extra virgin olive oil!! !